TrakInvest ICO has started, but is under the radar of a lot of scammers trying to take the money of our investors. Please follow the security checklist before investing in our Ico, or any other ICO for that regard. Once you receive the crowdsale address, check the address on etherscan. 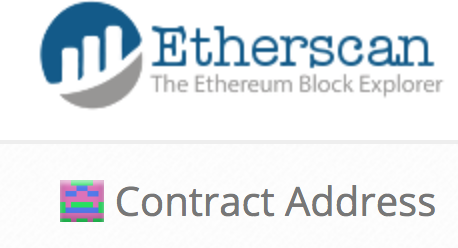 A contract address is different from a normal address on ethereum blockchain. Our crowdsale contract address would be displayed like this. The Trakinvest crowdsale address would also have the token available in the token tracker section which won’t be available with a normal scammers address. 2) The TrakInvest Kyc is done via mail, please ensure that the email Id you receive the mail from is “ico-kyc@trakinvest.com”, also hackers can spoof emails, to ensure that your email is coming from a safe source, on your gmail inbox, right click on the side tab of reply button and select show original message. The SPF should be passed for legitimate mail. While this would be entirely different for a spoofed email. We request all the investors to be really careful and due diligent about it and go through this checklist before investing with us. Also, you can confirm any doubts by the admins over telegram.